WhatsApp has released an update for its Windows Phone client. The update with build number 2.16.52, available for both Windows 10 and Windows 8.1, focusses more on the looks – bringing highly anticipated design refresh. The Facebook-owned chat platform picked a beta version of the update last month. Those who managed to access it then as beta testers will not be surprised by the changes, however, those who stayed with the stable version will be pleased with the new aesthetic outlook. Basically, the update brings Windows 10 and Windows Phone 8.1 platforms on the same aesthetic page. WhatsApp developers have decided to give Windows 8.1 users the design their colleagues on Windows 10 have been enjoying for some time now. WhatsApp for Windows Phone chat box is now redesigned such that the profile photo of the person or group currently being engaged is fixed on the top left corner with the call button pushed to the opposite side, the top right side. Some users have been complaining of making unintentional calls by hitting the call button accidentally. The update now comes in handy for this folks. The message send and attachment buttons are vividly visible in the chat box alongside an integrated file picker. The file picker allows users to easily pick and send documents, audio files, images and videos seamlessly. 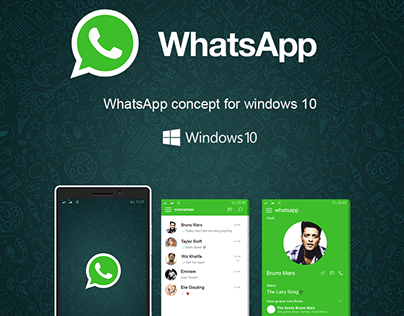 While WhatsApp users on Windows 10 have already tasted this, it will be totally new to Windows 8.1 users. Bolding a text: Enclose the text between two asterisks. Strikethrough a text: Put a tilde~ before and after a word or phrase. Italicizing a text: Enclose the text between two underscore signs. Though these text formatting tools are fascinating, it’s quite late for a leading messaging app like WhatsApp, more so that Skype users started using similar features long ago. Again, WhatsApp users who also use Skype will have no problem in applying these features as the video calling titan uses the characters to effect the same formatting styles. Finally, WhatsApp now gives you a diversified background choice. The update adds new color backgrounds to the gallery. However, users will be disappointed that the developers have not added the much-awaited video calling feature. The update is available on the Windows Store for Windows 10 and 8.1 users. I realy like your post with boost of information, But I have a windows 8.1 professional product key.